See the original post along with reader commentary on on Miguel Llorens’ Financial Translation blog. Lionbridge’s Trick or Treat Massacre: Give Us a 5% Discount or We’ll Shave Your Cat! Wow, right? The first thing I must highlight is the fact that Monsieur Hélin was classy enough to send this mass email from a dummy address that shows upon my sender tab as: “IMPORTANT – DO NOT REPLY” pmagyar_listsender@lionbridge.com. His actual, real email is absent from this flaming pile of dung he deposited in my inbox, which I thought was odd, given that our “translation partnership” has weathered the uncertainty of 2008 and 2009 and that he is looking after my-“OUR” revenue streams. Since I’m not able to respond to “my partner’s” indecent proposal personally, let me take the opportunity to reply publicly through this medium. No, I ignore Lionbridge not because I doubt your existence. I ignore you because I simply do not want to work for you. And it’s not just low rates. It is mostly the robotic nature of your company. Your project managers appear to speak English, but, regardless of nationality, they just behave in an incomprehensible manner. They still pitch me projects years after I informed the company I didn’t want to work for it. They send me purchase orders I never open for projects I never accepted, and then email frantically several days afterward screaming: “Where are the files!!! ?” The amazing thing is no one ever picks up a phone to confirm whether I died. It’s like the 21st century version of the final scene of Is Paris Burning? Very funny, gorgeous, creative. Thanks for taking the time, Miguel. This is just as funny, and true, as your article ‘Lionbridge CEO Rory Cowan Explains Didiergate and the World of Freelancing to Analysts’. Thanks a lot and “keep on rocking dude” comme on dit. I absolutely loved that. Thank you. I also got that email and I was like: Lionbridge, GFY! 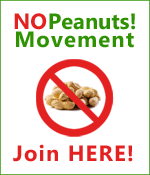 I’m glad that I’ve found your nopeanuts.wordpress.com site. Thanks for sharing your talent and wholesome information with us. You are a bright light!